Photographer Melissa Bunni Elian went backstage at New York Fashion Week to capture several runway shows and pop-up events that showed off the creativity and ingenuity of black designers, models and attendees — including Marvel Comics’ Welcome to Wakanda event, just in time for the opening week of Black Panther, the Black Accessory Designers Alliance soiree, and the Matthew Adams Dolan, LaQuan Smith and Pyer Moss shows. 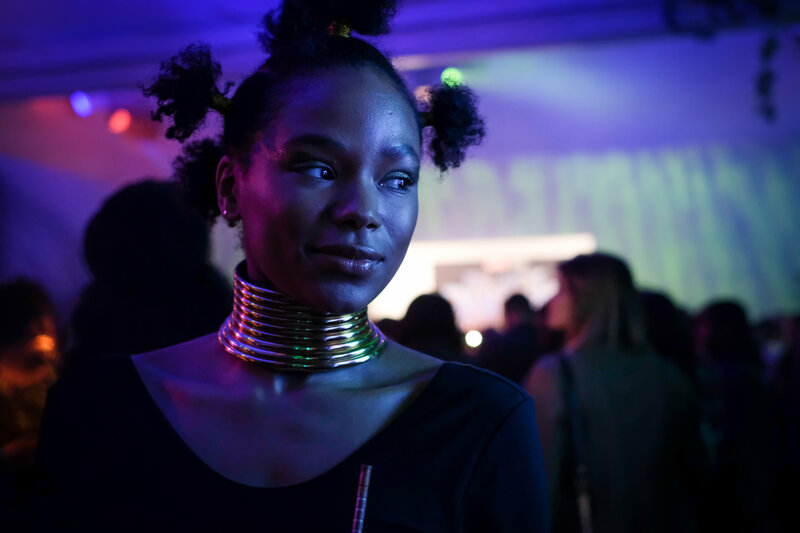 A model showcases a design inspired by the Marvel comic and upcoming film Black Panther during a Welcome to Wakanda event held during New York Fashion Week on Feb. 12. 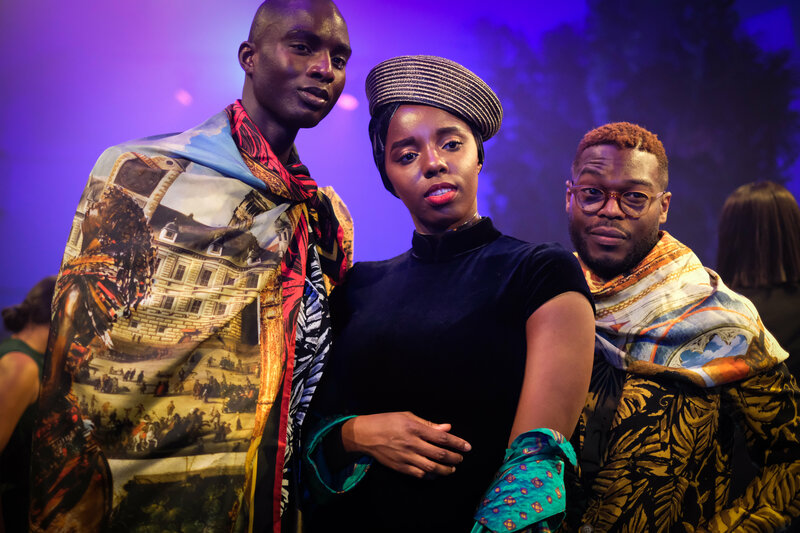 Fashion blogger Joy Adaeze (center) with Black Panther’s wardrobe designer Walé Oyéjidé (right) and a model sporting his design during the Welcome to Wakanda event hosted by Marvel Comics during New York Fashion Week. Backstage at the Michael Adams Dolan show. 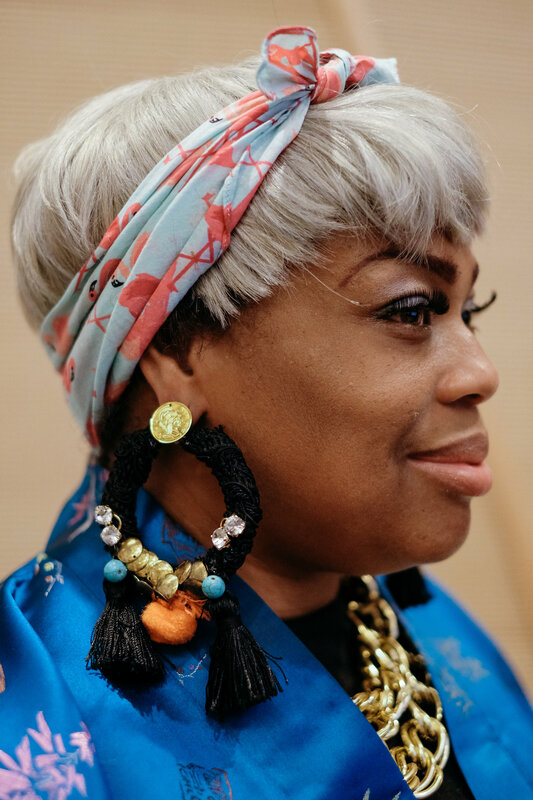 Accessories designer N’tasha presents a pair of custom earrings from her collection, House.of.Kaluaah. 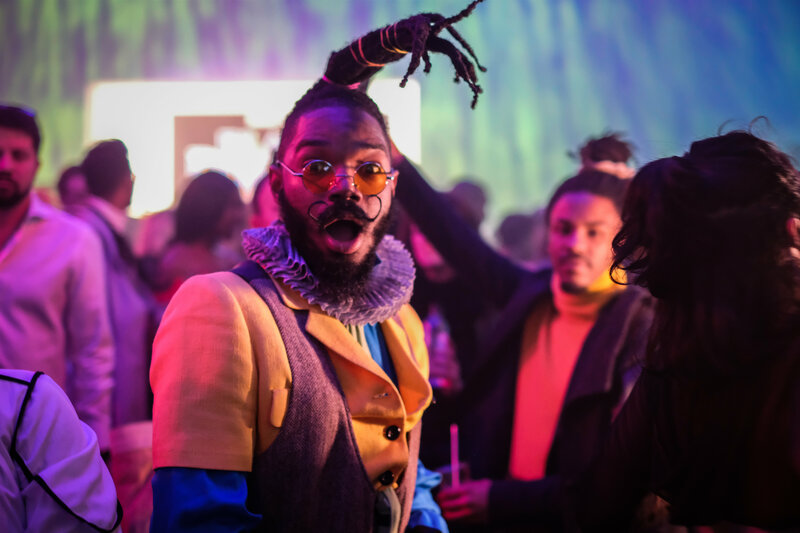 The Black Accessory Designers Alliance hosts the event for both established and new designers such as N’tasha to expose them to the wide range of New York Fashion Week attendees. 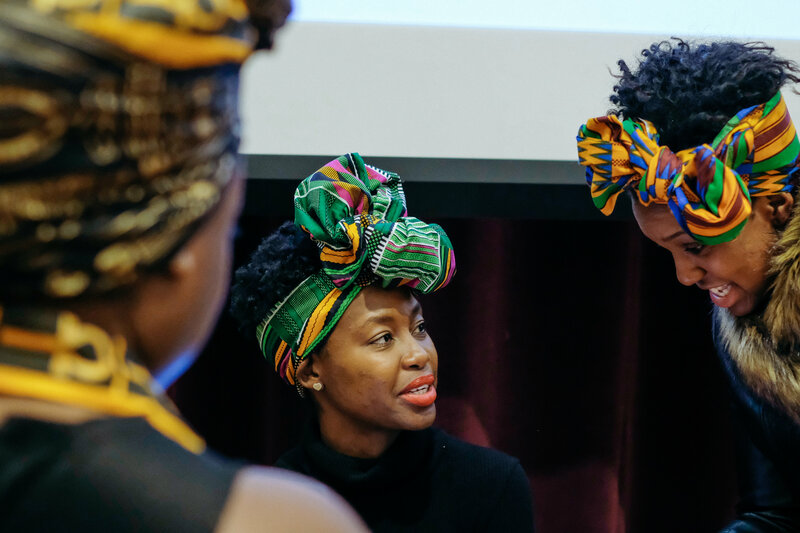 A group of women network while wearing head wraps by Urban Turban for the Black Accessory Designers Alliance pop-up soiree held during New York Fashion Week. 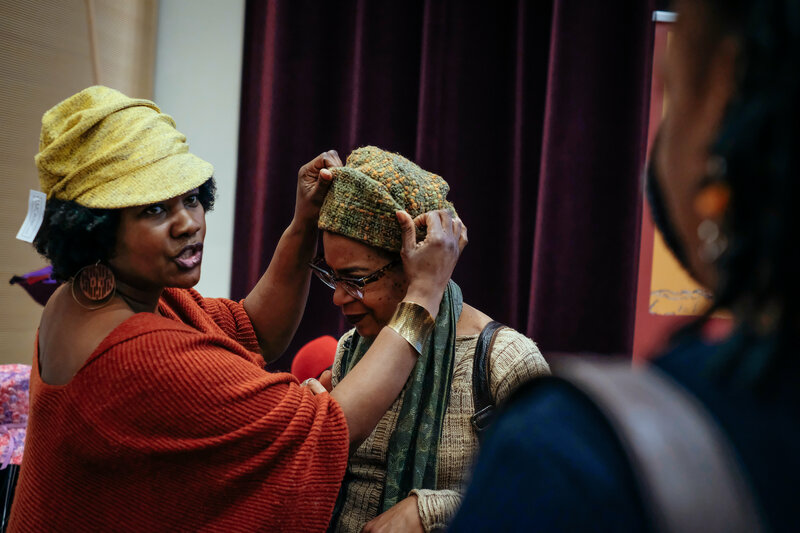 LMCrush designer Lisa McFadden styles a hat on a potential customer for the Black Accessory Designers Alliance pop-up soiree held during New York Fashion Week. 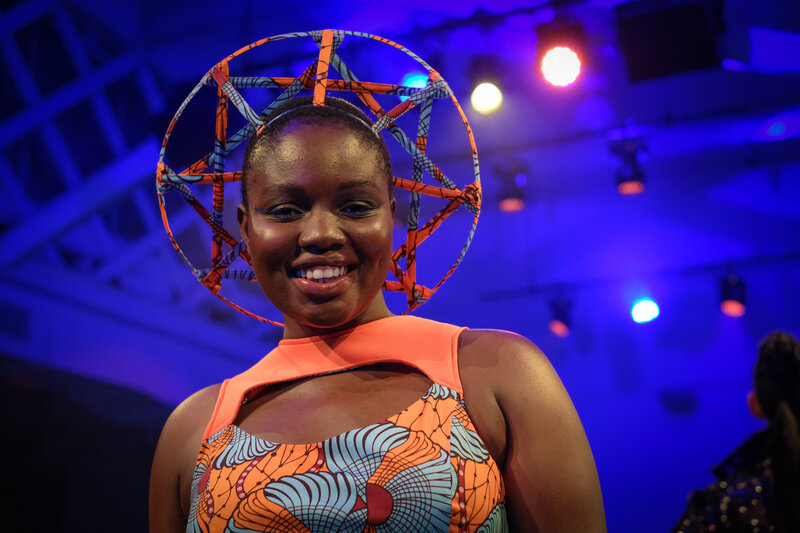 The organization presents diverse accessories created by designers of color from across the country and the world. 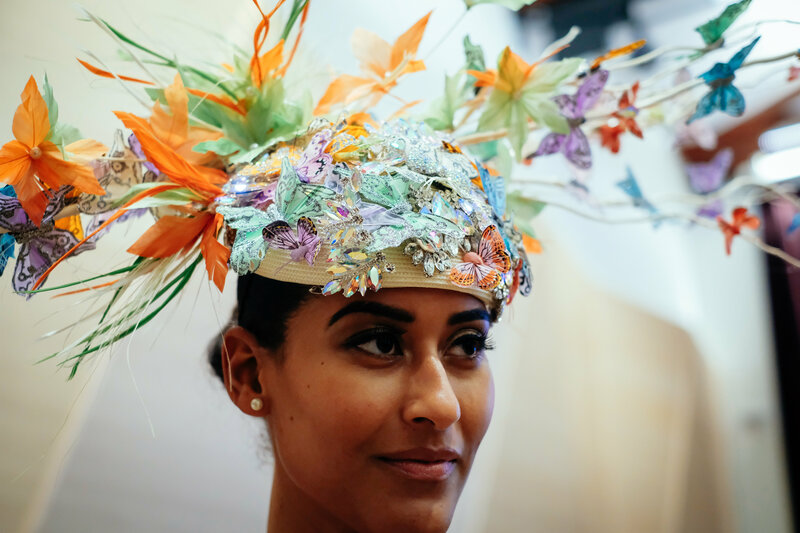 A model showcases a couture hat for the Black Accessory Designers Alliance pop-up soiree held during New York Fashion Week.